With a Forex limit order, you can limit the maximum price you pay when you buy a foreign currency or limit the minimum price you pay when you sell a Forex trading currency. A Forex limit order helps protect the investor, so that he doesn't buy a currency for a higher price than he is willing to pay, and so he doesn’t sell a currency for less than what he wants to get. The main difference between a Forex trading limit order and a market order is that with the limit order the transaction takes place only if the Forex trading currency reaches the limit you set before you bought or sold it using the Forex trading platform. Even though both orders are considered immediate, as they are done one the spot market, the Forex limit orders can take longer to execute. 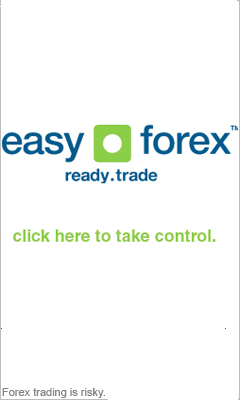 Setting Forex trading limit orders when buying Forex trading currency - Let's say you want to buy 3 lots of the EUR/USD currency. The current bid/ask price is 1.2494 / 97. When you place a limit order, it's as if you are saying: "I want to buy the currency, buy only if the price is no higher than what I am willing to pay." You then click on the ask price and buy 3 lots of EUR/USD, with a set limit of 1.2495. This means that unless the ask price is lowered from the current 1.2497 to 1.2495 or lower, the Forex trading transaction will not be executed. Setting a limit order when selling Forex currency - If we use the prior example, a limit order on a bid price can be made also for 1.2495. This means you will sell the EUR/USD currency only if it rises to at least 1.2495. The currency price may never reach your Forex trading limit orders., and so it is possible that your order may never be executed after you place the Forex trading order. Do not get confused by the bid/ask limit setting. Remember that the bid price is the price the trader is bidding to sell the currency, and the ask price is what the trader asks in order to buy the currency. The bid price limit will always be made for the maximum amount, and unless the currency reaches this maximum it will not be sold by the trader. The ask price will always be made for the minimum amount, and unless the currency drops to this minimum it will not be bought by the trader. Now that you understand Forex trading limit orders., continue to read about more online Forex trading orders, and get informed of them all.